Well, sort of. 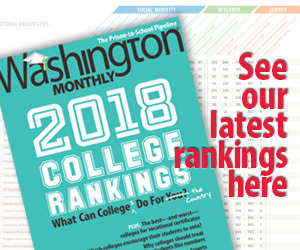 If you’ve been out of the loop, Kevin Drum, after several fantastic years here at the Washington Monthly, has a new blog at Mother Jones. I’ve moved from The Carpetbagger Report to here. Hilzoy is joining me here at the Political Animal, cross-posting items from Obsidian Wings. Depending on how long your vacation has been, you may also be interested to know that Ta-Nehisi Coates is now at The Atlantic, and Matt Yglesias has moved from The Atlantic to the Center for American Progress, and Blue Girl has abandoned Blogger and is now blogging at They Gave Us a Republic. Also, in case readers are wondering, I won’t be attending either major party convention this year, but Hilzoy is going to be in Denver this week.